UPDATE: I made these Strawberry Santa Hats again in 2012! Also check out this newer how-to video/post! It's that time of year again! Time to make Strawberry Santa Hats! These are the same basic concept as last year's version, but this year I made a chocolate brownie cake instead of a coconut milk cake. This is actually not too much work, but there is a lot of waiting around for things to cool down. This is no low-fat dessert. If all the fat scares you, you can always use another chocolate cake recipe and make the chocolate ganache with all oat/almond milk instead of coconut milk. OK - here we go! 1- Preheat the oven at 350 degrees and spray an 8x8 baking dish with cooking spray. 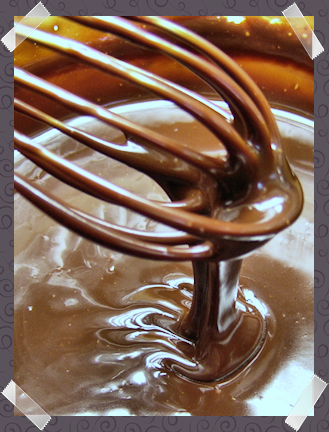 2- In a medium sized mixing bowl whisk together flour, sugar, cocoa powder, baking powder, salt, and chocolate chips. 3- In a measuring jar or small mixing bowl whisk together the coconut milk, milk, oil, and vanilla extract. 4- Pour the liquids on top of the flour mix and gently stir (without overmixing!) until everything is thoroughly combined. 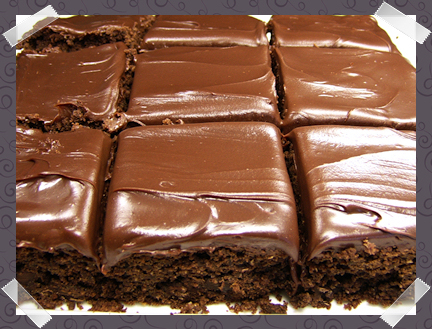 5- Pour the brownie cake batter into the prepared baking dish and bake for 30 to 35 minutes or until a toothpick inserted in the center comes out clean. Mine took 30 minutes, but the toothpick didn't come out 100% clean because I like mine a little on the fudgy side. 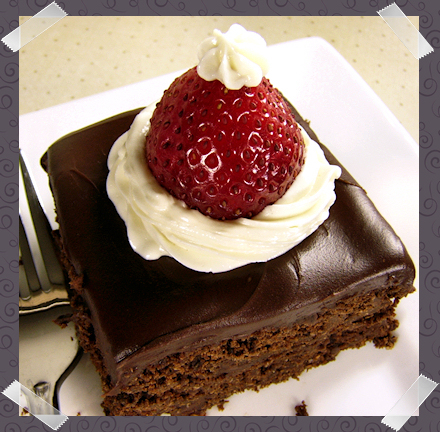 The cake needs to be at room temperature before you spread the chocolate ganache on top. I didn't bother transferring it to a cooling rack, I hardly ever do, so it's OK to leave in the baking dish until it's ready to be frosted. 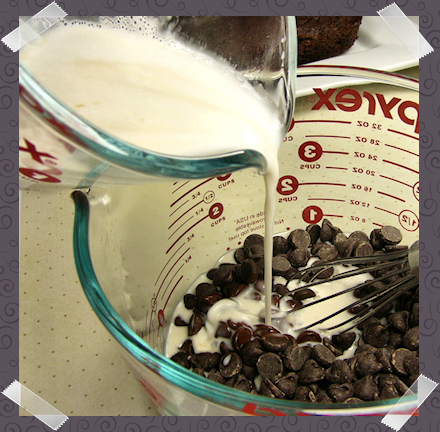 1- Place the chocolate chips in a medium sized mixing bowl. 2- In a glass measuring jar or mixing bowl, whisk together the coconut milk and the oat milk. Feel free to replace the oat milk with more coconut milk. 3- Microwave the milk mix for about one minute or just until it starts to boil. 4- Quickly stir in the vanilla. 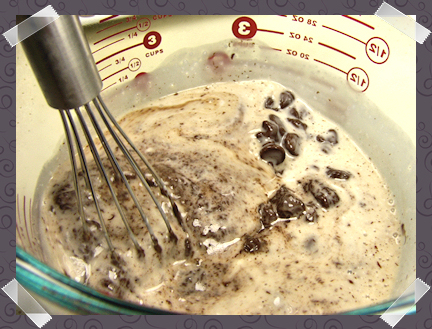 5- Immediately pour the milk over the chocolate chips and whisk vigorously until the chocolate melts and becomes a smooth cream. Does yours not look smooth? Nuke it into submission for 15 seconds and whisk it again until it surrenders! 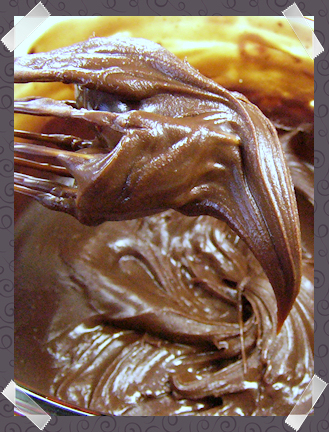 6- Take the ganache to the fridge and let it get nice and firm for about an hour. 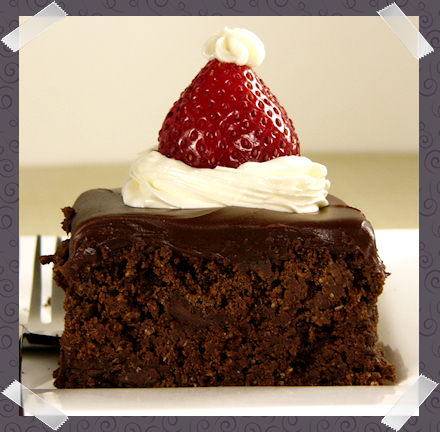 1- Transfer the cake to a large plate or platter or tray. A rimless cookie sheet would be even more convenient. 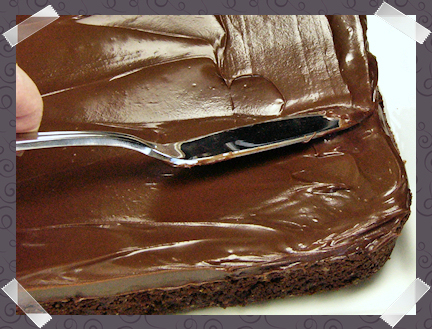 2- Whisk the cold ganache until it's smooth and pour it on top of the cake. Use a spatula or flat knife to spread it evenly. 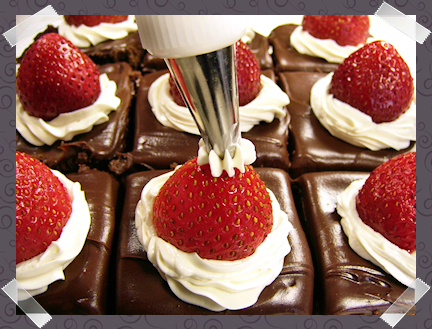 The hour will fly by while you wash and stem the strawberries, and while you make the buttercream frosting. 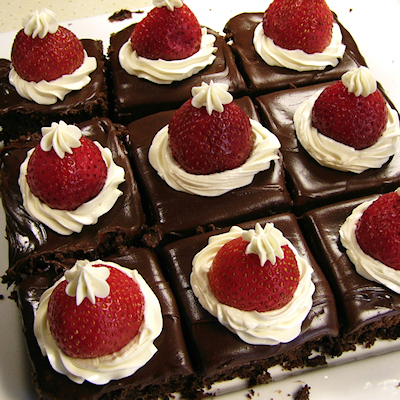 If you are going to cut the cake into nine squares then you will need nine strawberries, if you're cutting into 16 little squares then you will need 12 small strawberries. 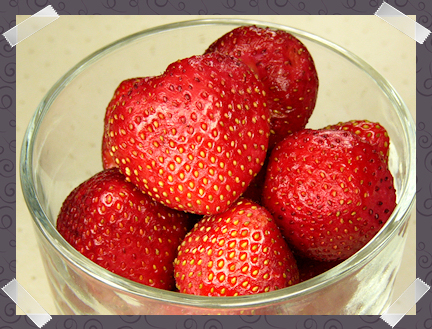 Stage 4 - Wash and stem the strawberries and pat them dry with a paper towel, especially the bottoms. 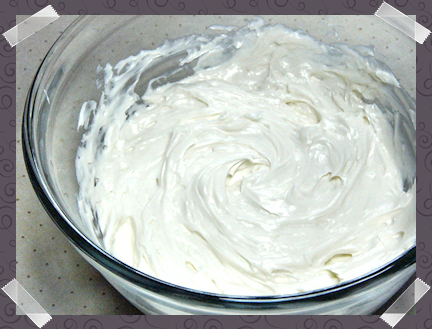 1- In a medium sized bowl, cream the margarine and the powdered sugar for about one minute. Stage 6 - Assemble the Santa hats! 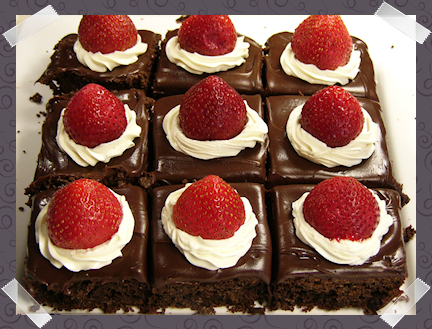 1- Remove the frosted cake from the fridge and cut it into nine squares. If you're making mini squares then go ahead and cut it into 16 squares. A long serrated knife works best for this job. You can trim the sides of the cake first if you want to make all the sides of all the squares be perfectly straight. 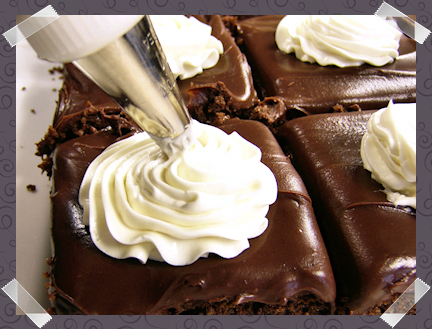 2- Transfer the buttercream frosting to a piping bag with a medium sized open-star decorating tip. Pipe a spiral of frosting in the middle of each square. The circumference of the spiral should be a little bigger than the bottom of a strawberry. Just eyeball it. 3- Place the strawberries, bottoms down, in the middle of each spiral and gently press the strawberries down. 4- Using the same decorating bag and tip, pipe the buttercream "pom poms" on top of each strawberry hat. hooooooooooooray for strawberry-chocolate santa hats, River! i loooove your step-by-step pictorials. you are so awesome! i've never made a granache before & i can't wait to give it a whirl. i think i can make the chocolate cake gluten-free, too. squeeeeeeeeeeeeee! How cute *and* instructive! You sure are one crafty cook...er, kook! And I had almost forgotten about those beloved santa hats! I've got a party at my place Thursday...will have to pull out this one :) Thanks for the fun! Yay for chocolate ganache and strawberry santa hats!!! Yum! Beautiful, everything about this post is beautiful. And I had no idea that was how you make ganache. I guess I just always assumed that the word was french, so it must be hard to make. This is dangerous information for me to have! I loved these last year, and making chocolatey, fudgey, ganachey brownie versions just makes me love them even more! You have made me sriously hungry with this post ~ I really wish I had one of those right now (for breakfast!). cute! 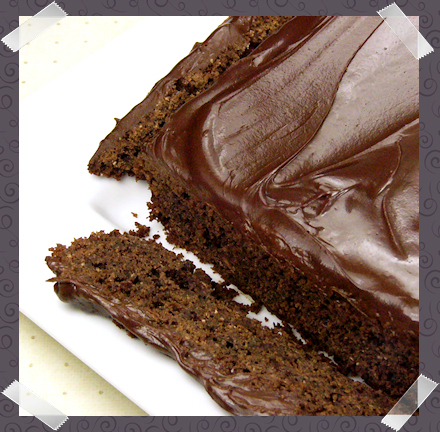 and that ganache looks perfect - fudgy and yummy! 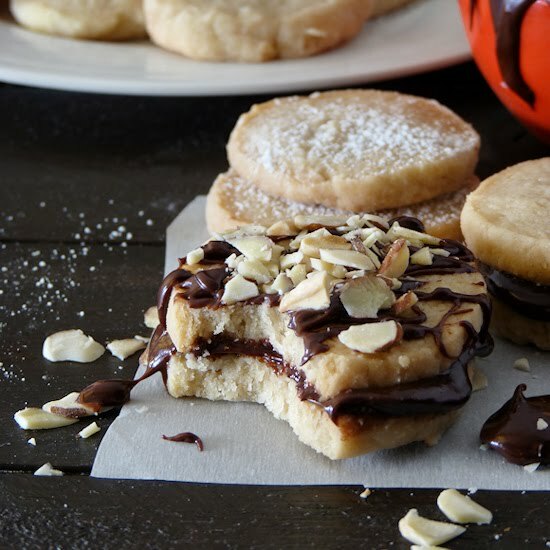 Mmm those look so darn good--and who cares about fat during the holidays?! The Santa hats are way too cute and that ganache looks to die for! Lisa - YAY indeed! My two favorite things combined = chocolate + strawberries! Oh wow. This is insane! The ganache looks like perfection (seriously how did you get it so smooth?!) and the cake itself just sounds so moist and flavorful. Coconut milk is a must for baking! Who cares about the fat?! really pretty holiday treats! i am going to have to attempt them. any advice on a gluten free method? These look so dainty and elegant. YUM! too cute!! the ganache looks great! OMG this looks like the best chocolate cake ever! I remember your Santa hats from last year - so cute. I want that orange fluffy! ..& Santa Hats, yum! Will you let me drink the chocolate ganache? I don't think I can wait for an hour to spread it all over my mouth!!! Shelby - Thanks! I didn't do anything special to the ganache, but nuking it for 15 seconds after pouring the milk on the chips and stirring seemed to make it extra smooth! 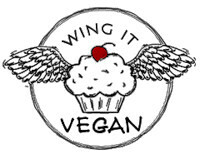 Jenny Lee - I did some research for you and found that Celine has a recipe for gluten free brownies here. I haven't tried it myself but Celine rocks, so it should be awesome! Also, I think Trader Joe's sells a gluten free brownie mix which might be worth a shot! Natalie - Thank you! The ganache was actually the easiest and quickest part of this! Swee San - You're very welcome! This really is pretty easy and simple... if only we didn't have to wait all that time for things to cool! LOL And I mean that in the way that the photo with the cat in the laundry actually made me laugh out loud. Cute santa hat goodness. That ganache looks perfect! River, SO CUTE! I wish my ganache came out that silky smooth. This is such a great idea. Mo - I am no ganache expert! The extra 15 seconds in the microwave took care of the smoothness for me. All I had to do was stir it good! I was going to make Santa Hats along with so many other yummy festive baked lovelies (including those adorable reindeer cupcake) this yea but I got sick and so have baked nothing! Woes. I'm sorry that you have been sick and you had to miss out on all the Christmas baking. I wish I could email you some Santa Hats! Yummy!!! I LOVE the santa hats!! Definitely stealing this idea next year!!! Sorry about that! I figured because I had only borrowed the idea of using strawberries as santa hats after seeing your picture on food gawker, and didn't actually use any form of your recipe from your blog, I was okay. I'll link it now.